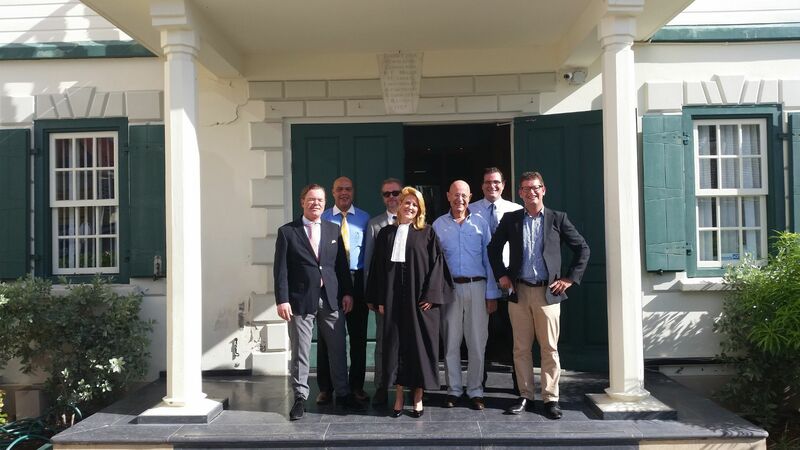 On Friday November 6, 2015 BZSE Attorneys at Law | Tax Lawyers employee Ms. Annet Bulder took the oath as lawyer of the Sint Maarten bar in a special ceremony at the courthouse. Mr. Rogier Wouters en Mr. Rens Groen of Lexwell Attorneys at Law and VanEps Kunneman en VanDoorne respectively were sworn in as well. Ms. Bulder hails from The Netherlands where she obtained her law degree from the University of Amsterdam. She has great experience in teaching civil law subjects to students of The Hague University of Applied Sciences and she will now be practicing in the field of civil law and litigation. In July she was welcomed to the team at BZSE Attorneys at Law | Tax Lawyers. 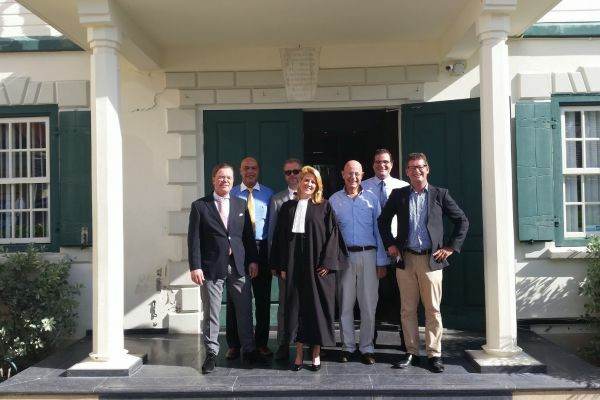 Ms Bulder is committed to make her mark as lawyer on Sint Maarten. In the picture from left to right: Mr. Rik Bergman, Mr. Joeri Essed, Mr. Camiel Koster, Ms. Annet Bulder, Mr. Norbert Hijmans, Mr. Pieter Soons, and Mr. Christian de Jong.